In Spain Kline and Geza Karpathi were commissioned by the Canadian doctor Norman Bethune to make a film to raise money for the medical services. Although neither one had previous experience in making motion pictures, Heart of Spain was the result of Kline and Karpathi's ambitious and dangerous work. Kline soon returned to Spain to film Return to Life, which also focused on hospitals and how new technologies in medicine were helping the cause. 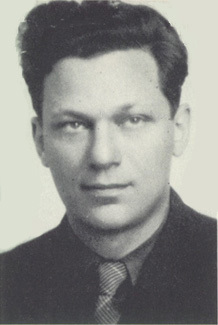 Independent of Frontier Films, Kline again took risks in filming Crisis in Czechoslovakia, posing as a Nazi supporter to gain access to behind the scene events and rallies. In 1939 he moved his crew into Poland, capturing the German invasion in Lights Out in Europe. Kline continued to make films in later decades, including My Father's House, Walls of Fire and The Challenge of Modern Art, narrated by Orson Welles. Kline lived in London from 1980 until his death in 1999 at the age of 89. 1Alexander, William. Film on the Left. Princeton, New Jersey: Princeton University Press., 1981. (195).